Hibino has a good serve and Siniakova can be a very immature player if things go against her. 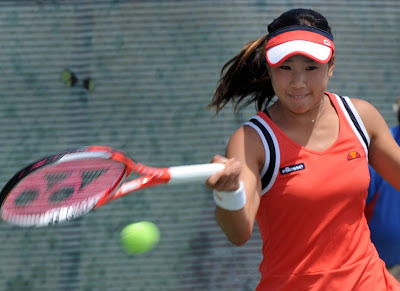 Player Profile: Nao Hibino is a professional Japanese tennis player, and currently the women's Japanese number 2. She is currently ranked 89th in singles and 105th in doubles. In 2015, she won her first WTA title. Young Russian was very impressive yesterday and has a stronger return game than Girorgi. Won the tournament last week, her serve is a huge weapon when it works well and Riske has not been playing well lately. Vekic leads the head to head 2-0. Player Profile: Donna Vekić is a Croatian tennis player. Vekić has won two singles titles on the WTA tour as well as five singles and one doubles title on the ITF circuit in her career. On 19 June 2017, she reached her best singles ranking of world no. 58.